In January, HarperCollins Publishers announced a pilot program offering previews of top-selling books. In other words, bestsellers are now available for preview on the Internet as well as social media networks such as Twitter, Facebook, and Pinterest. This move by HarperCollins is an attempt to integrate their books with the mobile web, a hot topic in Internet marketing and one I promised to talk more about on this blog. Guess what? You as an Indie author can also use Aerbook to achieve the same goals as those of traditionally published writers. For today’s post, I interviewed the founder and CEO of Aerbook, Ron Martinez, who will explain his company and how Indie authors can use some of the same marketing tactics as New York publishing companies. [clickToTweet tweet=”Indie authors can use some of the same marketing tactics as New York publishing companies” quote=”Indie authors can use some of the same marketing tactics as New York publishing companies”]. What led you to starting Aerbook? What specific goals did you have in mind? The overall goal we had and maintain is to make the full power of the mobile, social web available to authors and books. We saw how people were engaging with other media forms ranging from cat videos to news stories, in social apps and on their mobile phones. How could we make that visibility available for books in a very direct way – for marketing and also for selling books? The first version of the Aerbook platform, built four years ago, was a simple platform for authors, primarily. It included a custom WordPress site dedicated to a single book, kind of a landing page, with a book preview you could read in your browser and share, using Twitter and Facebook. The social web was young then, full of promise, but still early. So we started to think more broadly about how we could expand Aerbook’s capabilities. We developed Aerbook Maker, to make it easy for anyone to design and build a graphical, optionally interactive eBook that you could share and also sell directly. It was here that we also added direct sale and fulfillment of books, with Aerbook handling the transaction and delivering in multiple formats. The fact that you could share a book preview, basically put a few chapters into someone’s hands on the web or within social streams and in the web view of native apps like Twitter, Facebook, and Pinterest, and then sell it directly to people or lead to other purchase pages at Amazon, iBooks, or Nook, really resonated with the authors and publishers we spent time with during development. So we added refined Aerbook, with full, self-service support for all eBooks, including reflowable ePubs (text-centric eBooks, which render on all types of devices), added automatic conversion of these to Kindle’s .mobi format, email capture, and a range of other refinements, and that’s how we got to the Aerbook service you see today. Now, with more than half of browsing time spent on mobile devices (eclipsing the desktop in 2014), and the majority of that time spent within social apps like Facebook, Twitter, and Pinterest, Aerbook is coming into its own. When HarperCollins launched with Aerbook at Digital Book World in January 2014, top-selling authors like Neil Gaiman, Faye Kellerman, Dennis Lehane, Patricia Cornwell and hundreds of others had their books instantly readable on the mobile social web. You can see a lot of them here on this Pinterest board, and in the HarperCollins Twitter and Facebook streams. How does Aerbook work? And why would an Indie author want to add this feature to his/her marketing? You upload your ePub at aerbook.com, and decide which product plan you’d like to use. Aerbook Retail is free, no credit card required. It gives you the social look inside the book, email capture popups within the sample, stats on how the book is used, and the ability to share the link and also get web page widgets that launch the Aerbook. This plan lets you sell the book directly through Aerbook, and our service earns 15% of the purchase price after credit card fees are deducted. Aerbook Plus gives you everything Aerbook Retail delivers, plus lets you add links to other retailers, like Amazon, iBooks, or even your own purchase page. Aerbook Plus is $49 per year. Aerbook Flyer includes everything above, but there’s no direct sale through Aerbook’s commerce service. You’ll add links to other retailers. Flyer also lets you do book giveaways, and includes 500 directly delivered, complete books annually. Flyer is $99 per year. 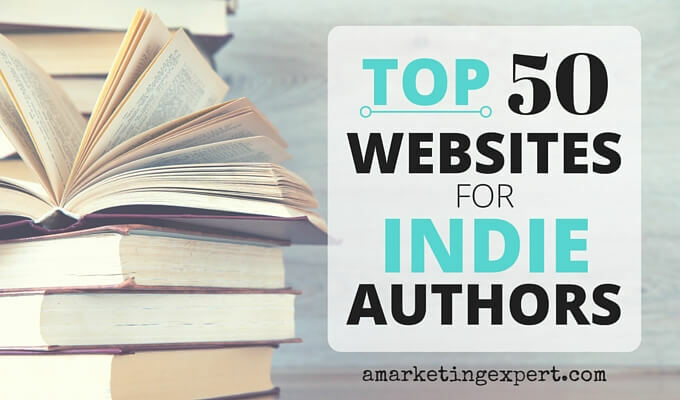 How can Aerbook enhance an Indie author’s platform or improve book sales? [clickToTweet tweet=”Aerbook lets you put your book directly in readers’ hands” quote=”Aerbook lets you put your book directly in readers’ hands”]Aerbook lets you put your book directly in readers’ hands, in a commerce-ready form, with built-in email list building, fully readable in the browser on any device and within any app. In that way, it turns the entire social web into a browsing table, like the kind we all love in our neighborhood bookstore. Sure, you can upload a preview to Amazon, and you should! But with Aerbook the relationship with that reader is yours, and when a reader opts-in, you can update them with your newsletter, or ask them to follow you to grow your social platform. We’ve also seeing some great promotional programs, put in place by top-selling authors that could also be done by indie authors. Jennifer L. Armentrout had two previews of her new book, Fall With Me. The first one was of Chapter 1, the second Aerbook included Chapter 2. She let her followers know that if Chapter 1 got 500 shares, she would unlock Chapter 2. The book exceeded 500 shares pretty quickly. You can see when you click the button top left that it has more than a thousand Facebook Likes alone, which translates into many thousands of friends of those who Liked seeing the book in their streams. These are sophisticated programs made easy with Aerbook’s self-service setup and dashboard. Describe native commerce. Please explain how this type of marketing helps Indie authors and why Indie authors should learn about it. Native Commerce is a somewhat fancy way of saying make the product available directly at the point of interest and engagement. It’s a bit like traditional publishing’s “special sales” channel. We’ve all seen books about a tourist destination in the gift shop located at the destination. That’s special sales for books and the inspiration for native commerce on the web. Aerbook, and it’s forthcoming, major extension, the Aer.io Retail Network, let you put a commerce-enabled book preview, or with Aer.io, a complete bookstore, wherever people spend their time. For example, a book blogger could drop a book preview on the page, ready for purchase. No visiting a store: the link or icon on the page launches the product with a complete checkout. A Facebook romance-oriented page could share previews of books right in their timeline that expand to a preview and purchase, without ever leaving the app. And with Aer.io, any individual, web publisher, or organization can drop an entire bookstore on their site with a single line of code, and then share the products with their friends and followers in any of their social streams. Native commerce is core to our mission here. We really believe that a decentralized, distributed marketplace for books where we can literally sell books to each other without always having to go through some big company is good for everyone who participates and good for books and writing. I wrote more about this for FutureBook, recently. As I understand it, through Aerbook authors will have access to reader data, which they don’t have when they sell their books through Amazon or bookstores. How often and how easy will that data be for an author to access? Authors have access to data about the samples, but not the books once they’re downloaded and installed in iBooks, or on the Kindle app, Google Play Books, Bluefire, or whichever reading app the reader likes to use. And of course, authors get access to email addresses with permissions, and can see how many people have read or purchased the books (from Aerbook), what devices they use, mobile or desktop, and so on. What type of social media analytics does the Aerbook system provide? We make books into fully social, shareable media that can be experienced directly or purchased. You can add pre-written hashtags, mentions and wording that appears whenever anyone taps on the built-in social sharing icons. This lets you readily tag your mentions and shares for further collection and analytics. We actually recommend the now very excellent and free social analytics provided by networks like Twitter and Pinterest, as well as use of any third party tools that Frances is expert in. They typically have greater access and insight into your book’s performance, and rather than try to replicate it, we recommend you use them. For example, Pinterest’s analytics are here. Tell me more about Aer.io, which I understand can allow anyone to create and customize a mobile/social storefront that could also be part of an author’s website. Is it true that I could even be selling Pride and Prejudice with this service? Yes, you can! There are 2 million books (and these are print books delivered to people’s homes), plus graphic novels, DVDs and Blu-ray videos, audiobook CDs, calendars, Moleskine notebooks, sketchpads, and writing instruments, games, and more in Aer.io. You can put any of them into your inventory, set pricing and discounts, and drop the store into a page on your blog or website as easily as embedding a YouTube video. An author could not only sell his or her own book on their site, but they can also curate a collection of books that are meaningful to them, that the grew up with, or that taught them about form or structure or some other aspect of the writer’s craft. Product descriptions are fully customizable, and you can even embed video or Soundcloud audio clips in the product “cards” themselves. When any of these curated items sell, we separately bank the author’s earnings, so they can transfer them to their own account whenever there’s at least $10.00. It costs $0.25 to transfer, and you do need a U.S. bank account. The Aer.io store partner also gets the customer’s email, if the customer has provided permission. Aer.io combines the simplicity and zero risk of an affiliate program, with the revenue potential and customer relationships of your own online store. We’re very excited about it! It’s in closed beta, but you can sign up for access here. Do you see Aerbook and Aer.io Retail Network complementing each other? For example, would an Indie author need to use both to maximize exposure and book sales? They do complement each other. When your book is up on Aerbook with either the Aerbook Retail or Aerbook Plus plan, you can go to the Aer.io tab in the book’s dashboard and add the book to the Aer.io catalog, so that others can find it and add it to their store’s inventory. There’s a minimum 30% discount off the selling price that the author or publisher provides, so that there’s enough margin in the sale to reward the Aer.io store partner, and cover our costs. And you can also prohibit discounting of the selling price if you need to maintain price parity with other retailers, like Amazon. We have partnered with Ingram for the fulfillment of print books. So if your print edition is in the Ingram warehouse or set up with LightningSource print-on-demand, say, through IngramSpark, you can also couple your print edition to your eBook edition, so that both formats appear in your product descriptions, ready for purchase. We see strong early indications that a range of store partners is in the offing, from brick-and-mortar Indie bookstores, to individuals, authors, publishers, and media properties. When there are thousands more booksellers finding, describing, and selling books they really care about, we’ll know that we’ve delivered on the goals we set for ourselves when we first started Aerbook. Liked this post? Get updates emailed to you! About Ron Martinez: He is the founder and CEO of Aerbook, a service that lets you find readers and sell books on the social web, and the forthcoming Aer.io, which lets anyone create an online bookstore, curating inventory from over 2MM books, DVDs and Blu-rays, graphic novels, and more. A prolific inventor, prior to Aerbook Ron served as VP, Intellectual Property Innovation for Yahoo! Inc, in a global role managing the strategic patent development and content IP strategy and operations. Ron has a long history of designing, producing and coding software products, but began his career as a writer of children’s pathway books, comics, and non-fiction.